” Love and Hate Lunch Box” is also a title of an imaginary cooking show on imaginary cable TV program in California. On that program, Okada plays a role of teacher Hiroko Okada, a Japanese cuisine specialist who lives in San Francisco. She cooks Japanese style lunch box under the theme of, as the title says, the emotion of “Love and Hate” of a mother towards her child. The “Japanese lunch box” style, in which ingredients are beautifully packed in a square box, is of raraely high quality in the world. This Japanese style lunch box begins with a rice ball brought by farmers to their work, or it is said that Makunouchi lunch box which was served between Kabuki plays has its origin. Either way, as the time goes, these lunches had been changed to a mom’s “love lunch box” for their school kids and the lunch box vividly reminds us of our childhood. 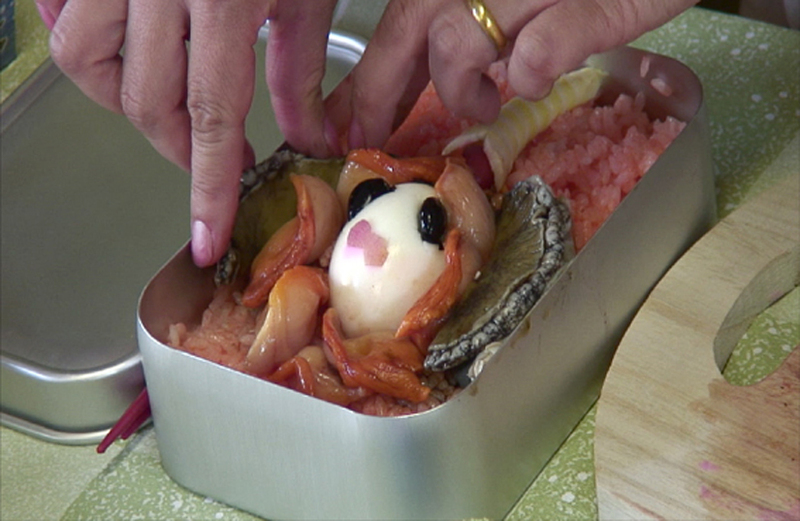 For this show, the “love lunch box” became “Love and Hate Lunch Box” with Okadaﾕs special recipe which reflects the bright and dark side of parenting in Japanese society. Each recipe contains social satirical, and each lunch box is very bizarre. As a mother and wife, Okada, who energetically continues her artistic activities, reveals the social issues to be discussed. 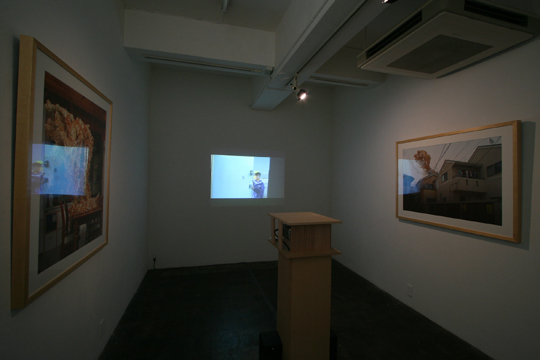 In this exhibition, Okada shows drawing and photography that document ﾒLove and Hate Lunch Box.” A main feature is a video installation which includes cooking shows by teacher Hiroko. In the story, she repeats marriage and divorce and introduces three recipes, “Birth Pangs Lunch Box,” “Political Correctness Lunch Box” and “Chance Operation Lunch Box.” with her successive husbands. Persons who are known in art world play the roles of husband. Admirer of contemporary art would be surprised. This is Okada’s first solo exhibition in two years. 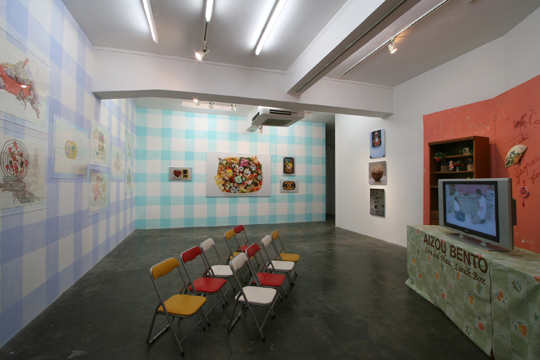 Besides “Love and Hate Lunch Box,” it would be a great opportunity to enjoy Hiroko Okada’s various works created from the last to this year, such as Computer Graphics and film works which will be first shown in Japan.